Exchange traded funds or ETFs remain at the forefront of investing community as the products continue to make inroads into all types of portfolios and trading styles and sizes. Thus, investors at different levels have often embraced ETF products due to the transparency, the cost efficiency benefits and the product structure. As ETFs continues to evolve, the products have become more diverse with investors taking advantage of being able to tap into the difficult to reach asset classes. For example, investors can purchase ETFs that have exposure to the futures markets. By purchasing such ETF’s investors are able to indirectly gain access to the futures markets. ETFs have become particularly interesting when it comes to the commodity markets. The wide choice of ETF products means that investors have the option to pick and choose the type of ETF products they want to trade or invest. In the world of commodities, this translates to investors choosing from ETFs that have exposure to futures or to the mining and exploration companies to suppliers or distribution companies and so on. Within the commodity markets, investors have often turned to copper across all market classes; futures, ETF’s, copper mining companies and so on. The metal continues to hold a great appeal among the investing community due to its widespread usage in just about everything. Copper is an essential element used in the manufacture of household plumbing pipes to electricity conducting instruments and high-tech machinery as well. Copper is also said to be closely related to the economic cycles. As housing and infrastructure continues to expand especially in the emerging markets, copper as a commodity for investment purposes offers investors compelling reasons to trade or invest in it. It is estimated that the appetite for raw materials, such as copper will continue to grow over the coming years, adding to its appeal. How to invest in Copper ETFs? What are the factors to consider when purchasing copper ETFs? What Copper ETFs should you invest? Copper is part of the base metal that is well known since ages. It has become an important metal in the progress of a community. Copper is one of the few metals that has some properties that are similar to precious metals. Gold and silver’s properties are somewhat similar to that of copper as it is ductile, malleable and is a known conductor of heat and electricity. Despite sharing some similarities with its more expensive metals, copper is still relatively cheaply priced due to its widespread uses in the industrial and manufacturing sector. Copper is widely used in wiring systems, especially in households as well as commonly found in electronic circuit boards, plumbing and so on. As a transmitter of heat as well as cold, copper is used in power generation as well and can be seen playing a critical role in supporting the telecommunications sector. Because of the various sectors dependence on copper, the metal is also said to be a good bell-weather of the global economy. In fact, copper is often called as the metal with a PhD, and is commonly referred to as Dr. Copper, for its ability to predict the economic cycles. Given the above factors, it is not surprising that copper takes space among investors as part of their portfolio. Investors these days have a wide number of choices if they wish to seek exposure to the base metal. While investing in copper ETFs are just one aspect of investing, there are also copper bars and physically backed ETFs that can be traded, not to forget futures and options as well which are part of the derivatives asset classes that are available for trading. No matter what type of asset class an investor makes use of, the most important thing to consider is the liquidity of the asset class which is important. 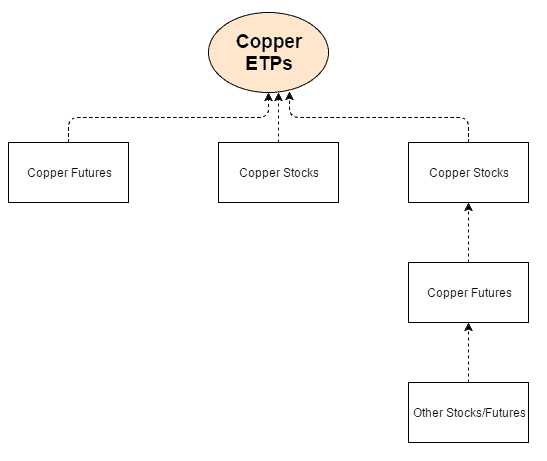 Within the exchange traded funds, there are many different types of copper based ETF’s. For example, investors can choose a copper ETF that tracks the futures prices of copper and rolls over the contracts to the front month. 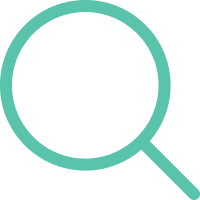 There are also physical copper backed ETFs that offer traders a more direct exposure to the metal and finally there are copper ETFs that focus on the companies such as copper mining, exploration and distribution based companies. Such type of ETFs often gives an indirect exposure to the investors who want to trade the base metal. Thus, copper ETFs can be either pure-play such as the iPath Bloomberg Copper Subindex Total Return ETN (JJC) or the United States Copper Index Fund (CEPR) which tracks the copper futures contracts and a more diversified holding such as PowerShares DB Base Metals Fund (DBB) which has a mix of different copper products including U.S. Treasury Bills, Zinc and Aluminum. Thus, when it comes to trading or investing in copper ETFs there are a lot of choices for the investor and no doubt many different variations of the products. 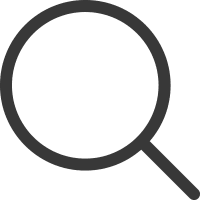 Thus, copper investors should thoroughly investigate into the respective copper ETFs before they invest as different ETFs can yield different results. The product structure of the exchange traded product is an important factor to consider. Investor should know that not all ETPs are created similarly and this factor is often overlooked. In fact the structure of the ETP is what eventually determines the returns. With copper exchange traded funds, investors will often be faced with a choice of choosing between an ETP that focuses on the futures front month contracts, commodity pools and exchange traded notes. As mentioned earlier, investors need to pay attention to ETNs as they come with a counter-party and credit risk. On the other hand, copper ETFs such as the United States Copper Index Fund (CPER) is a structured commodity pool. The differences mean that investors also need to focus on the tax implications based on the way the ETF is structured. Copper investors must also figure out how they wish to select the ETFs based on the exposure to the underlying asset. Some investors prefer to focus on ETFs that track the futures prices of copper, while an indirect approach could be to look at ETFs via copper miners. With a futures based holding in an ETF, the fund is more active as they need to sell the copper contracts which they hold as the contracts near the expiration date and in turn have to purchase the new front month contracts. This process is referred to as the rolling over of contracts and it can affect the overall returns of the ETFs that track the futures prices. 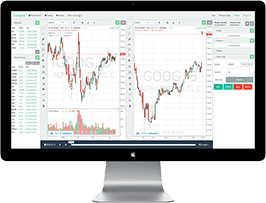 For example, when the futures markets are in contango, the longer dated futures prices are trading a premium compared to the nearest month contracts prices which are approaching expiration date. Thus, there are times when the futures prices tend to deviate away from the spot prices and can also be volatile on a day to day basis. On the other hand, opting for a commodity producer such as miners brings with it, a new set of issues that investors should deal with as well. For example many copper miners tend to hedge their exposure to the underlying asset, via selling the goods in the future and locking in a price. Therefore such swings in the spot market prices of copper don’t necessarily mean that the copper producers will be selling at exactly the same price. The stocks of the copper miners are impacted by the spot prices of copper to a certain extent only but there is no perfect correlation between the prices of the metal itself. Still, in terms of volatility, copper producers prices offer a lot more stability than compared to the futures based ETFs. Secondly, investors who prefer a buy and hold approach will find that investing in a copper ETF with holdings of copper producers and/or mining companies can offer greater benefits such as utilizing stocks that have tangible assets and cash flows compared to copper futures which are mostly speculative instruments. Copper investors who prefer to invest in futures contracts based ETNs will have to pay particular attention to the rollover in the futures contracts. This might seem not so significant, but the rollover decision can play an important role in determining the exposure to the contracts, both expiring and the front month. The iPath Bloomberg Copper Subindex Total Return ETN (JCC) is one such example as the ETN rolls out the exposure to the future month contracts. 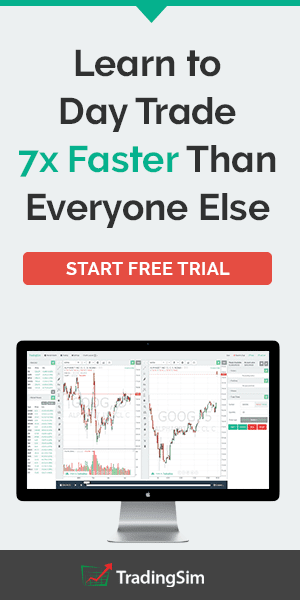 It can be a great tool for short term trading, but not ideally suited for investors who prefer a buy-and-hold approach. Market factors such as contango in the futures markets could significantly eat into the returns from the JCC. As outlined above, investors have the choice to choose the type of copper ETF they want to invest in. For those who are short term or do not mind the volatility, investing in a futures contracts based ETN can offer decent returns in the short term, while investors who like a buy and hold approach prefer to make use of a more diversified commodity pool or an ETF that is made up of copper producers or miners. Here are three copper ETFs that are worth considering for investors who prefer to invest in copper ETFs. The iPath Bloomberg Copper Subindex Total Return ETN (JJC) is known as one of the oldest copper exchange-traded product on the markets. The JJC ETN also boasts of one of the largest number of assets under management in the copper market. The iPath Bloomberg Copper Subindex Total Return ETN has an expense ratio of 0.75% and the fund has an inception date since October 23, 2007. The JJC ETN boasts of total assets under management (AUM) of $73.7 million. What’s unique about the JJC ETN is that the product rolls out the exposure to the front month copper futures contracts and thus, traders holding JJC ETN shares are exposed to the potential credit risk from the issuing institution. iPath Pure Beta Copper ETN (CUPM) is an ETN that maintains the flexibility to roll exposure into a number of different contract months and although this looks similar to the iPath Bloomberg Copper Subindex Total Return ETN (JJC) it is structured slightly differently. The CUPM ETN uses a Pure Beta methodology where in the decision on the rollovers are based on the observed price signals as well as the slope of the copper futures curve. The CUPM has total assets under management worth $0.7 million and this is one of the lowest among the three copper ETFs mentioned here. The CUPM ETN has an expense ratio of 0.75%. The United States Copper Index Fund (CPER) has total assets under management to the tune of $14.6 million and has an expense ratio of 0.65%. The CPER is a commodity pool and seeks exposure based on a basket of ETF contracts. 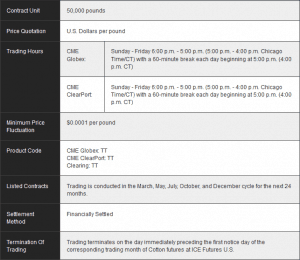 The CPER ETF makes use of a unique roll methodology so as to address the shortcoming of the JCC ETN by maximizing backwardation and minimizing the effects of contango. Besides the above three copper ETFs there are many more choices that are available for investors. With due diligence and focusing on the way the copper ETPs are structured, investors can take a more personalized approach into investing in the right copper ETP of their choice.